Go Bake or Go Home: Rejuvelac Beginnings. Check out how to make your very own Rejuvelac. 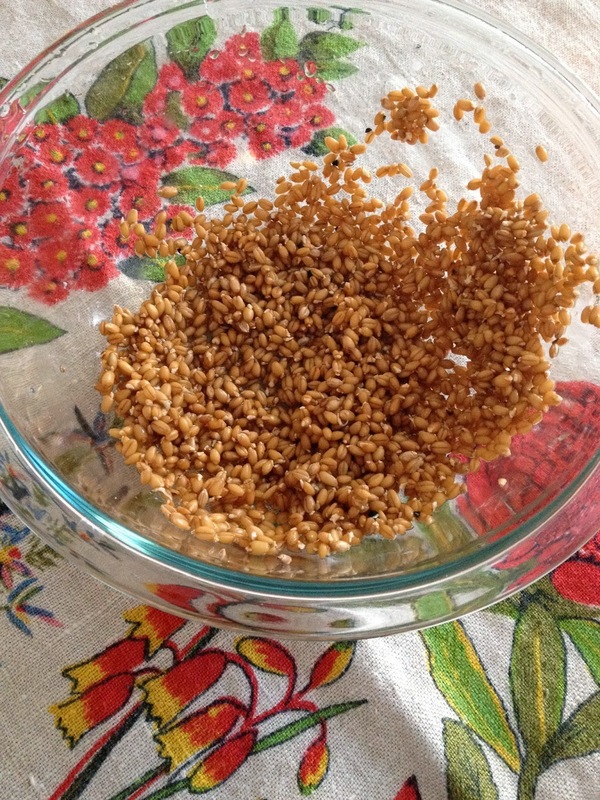 A fermented, probiotic-rich drink made from sprouted grains! 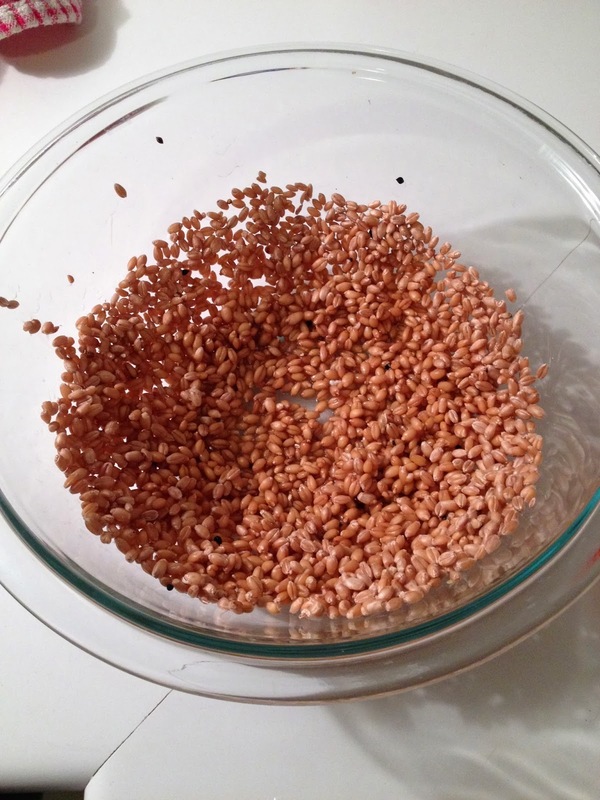 Cover 1/2 cup of wheat berries in filtered water and allow to soak overnight. I chose to use wheat berries, but feel free to try quinoa, buckwheat, rye berries, etc. Just don't use rice. Sprouting time! 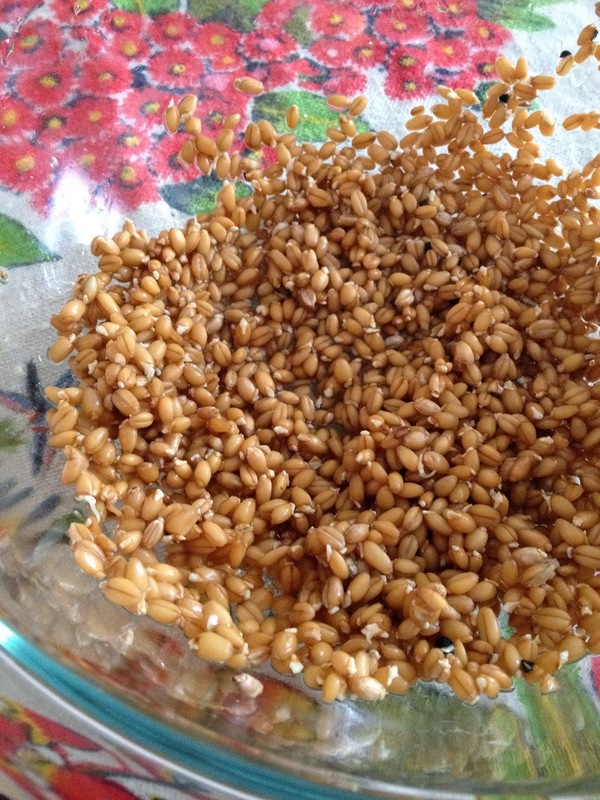 To sprout the berries, strain and rinse the wheat berries and add just enough fresh water to keep the berries moist. Rinse and strain the berries a few times a day until they sprout. 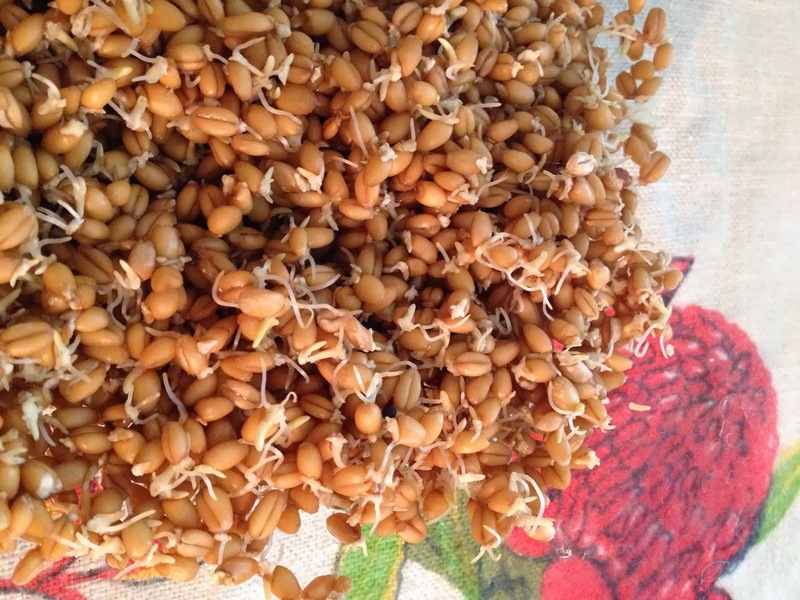 Sprouting time greatly depends on the grain you choose to use, the season and temperature of your room. My wheat berries sprouted in 3 days. You'll know when they're ready once they sprout a little tail about half the length of the grain. Strain, rinse and transfer the berries to a very clean 1L Mason jar. Fill the jar to the top with filtered water and cover with a clean towel or a couple layers of cheesecloth. Allow the soon-to-be rejuvelac to ferment at room temperature for about 2-3 days depending on how tangy you want it. Make sure to keep your jar away from any direct sunlight. Give it a good stir with a clean spoon once a day. The water will gradually become cloudy and will taste fresh, lemony and fermented when ready. This water can now be called rejuvelac! 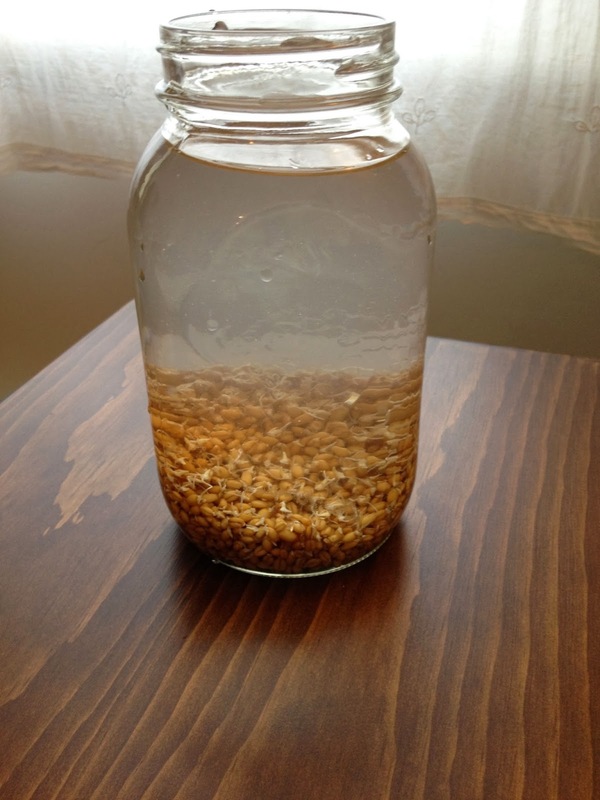 Strain out the wheat berries and keep the liquid! You can reuse the berries for another batch of rejuvelac if you want. It will only need to be fermented for 1-2 days this time around. The rejuvelac can be refrigerated for up to a week. I've read about crushing the sprouted berries before fermenting them which sounds really interesting! I think I will try that method next time. Also, instead of using water as the fermenting liquid, try using soy milk, coconut milk or fresh almond milk. The resulting milk will be nice and thick, almost like a cream. Check out these pics of my process! These sprouted berries are ready to go! Day 3 of fermentation. Ready! Thanks for the series of photos to really show this cool process! Does the water give you extra energy? Berries drink is really good for health but i did not know this idea of making drink with dry berries. Thanks for sharing the method with the images. I might try it on this weekend.